Mountainside Fitness at La Camarilla Coming Soon! with Over 80 Group Fitness Classes a Week there's a class for everyone. this is a new kind of group therapy. Come M PROVE with us. 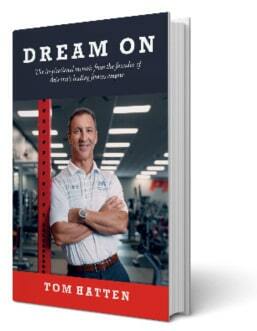 Read Dream On, the inspirational memoir from our Founder & CEO Tom Hatten. Available on Amazon, AmazonKindle and at all Mountainside Fitness locations. All proceeds benefit Make-A-Wish Arizona and MDA Arizona.